Swiftlet Farming: Million Dollars A Year Income Potential. : Pedas BH: The BH Revamp Operation Is About To Complete !!! Pedas BH: The BH Revamp Operation Is About To Complete !!! 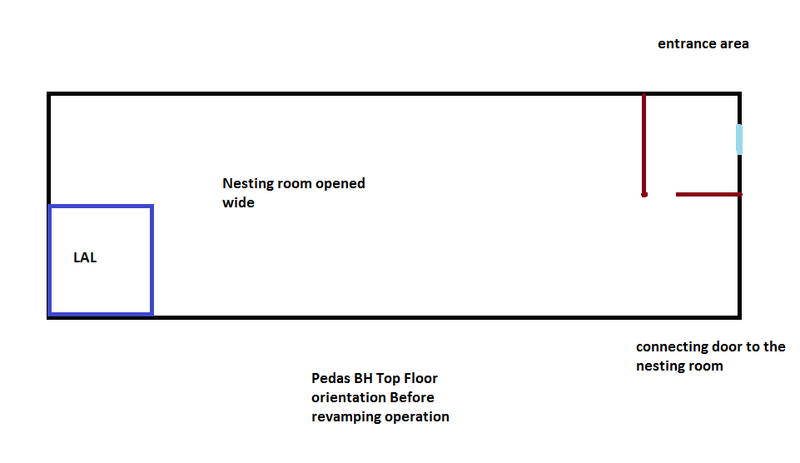 The Pedas BH revamp operation, only the top most floor, is nearly over. Very excited to launched it and hopefully those swiftlet will love what I have done. Firstly was the LMB (main entrance hole) was restored from the old to the new shape. The entrance hole now is opened as such the size is 2.5' wide by 3' height. The opening is layered with wood so that mounting of tweeters will be much easier. The connecting door from the entrance room to the nesting room now is moved to a better position. This time the birds need not make a 90* turns but can fly straight with just a small turn. The strong light entering the main entrance hole is being reduced by erecting another room (light blocking room) just after the 1st room. This will be the room where an LAL will be erected on its floor. As for now this new room will be mainly for the light blocking. 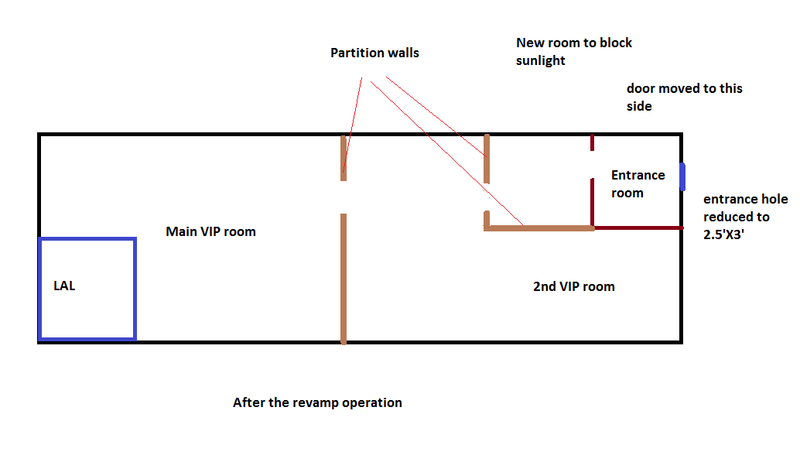 To make the back room more attracting I have decided to erect another wall that create the main VIP room. This VIP room will be where those swiftlet will occupy and perhaps start their colony. 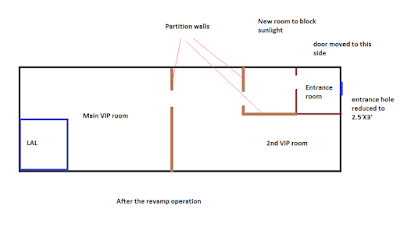 The new walls now create another VIP room that is located at the east of the floor. I called it as the 2nd VIP room. Looks very well done and now what I need to do is to install those tweeters, fake nests, external sound tweeters and perhaps spray some aromas. I have also mobilized 2 chicken coop humidifiers. Once the revamp works is over will conduct a test run and see what kind of response those birds will do. 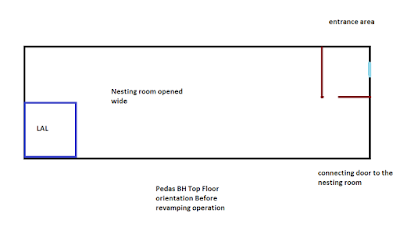 The aim is to do up the top floor and wait for the nests to touch 300 nests. Once that is achieved the second floor will be repair to accommodate more birds in this BH. It might take some time to achieve this but at this moment I think the top floor alone can cater for a sizable number. The owner can now see the changes that will take place. Her fear on the owls was well taken care of. I have installed 2 owl traps inside the main entrance room and any time this predator entered they will be cornered. Hopefully this Monday the BH will be put into operation.